You will start by constructing space boxes: rectangles of whatever dimensions you choose. Starting with a sheet of foam core, cut a top, bottom, and three sides and glue (or pin) them together. Make at least two boxes in exactly the same dimensions. One box will be your design box. The other will remain empty. It is the control against which you will measure your progress. Now we introduce planes into the space. The goal is to create an organization that expands the negative volume. Using the axes of the planes and the tension between them your challenge is to: enhance the awareness of the negative volume; activate the negative volume; make the overall organization as three-dimensional as possible. We will work with static, dynamic, and curvilinear planes, starting with the simplest and moving to the most complex. As the visual character of the planes become more complex the exercise will require greater restraint, refinement, and subtlety. And you will find it more difficult to stay focused on our top priority which is expanding the negative volume. When you’ve created a successful organization, the negative volume in your design box should appear larger than in your control (empty) box. The careful positioning of planes and the tensional relationships between them will give the negative volume a character of its own and make it come alive. Planes should be complementary and should vary in character and proportion. Planes should be placed as three-dimensionally as possible, moving along X, Y, and Z axes. Place the first plane with great consideration. It will establish the main movement in the space and set up a vibration that should affect how everything else works. The first plane really sets up the environment for designing in space. Place it and then build on it. Beware of the temptation to divide your box into symmetrical parts. To expand the space you want to have a sense of volume and as soon as you create a focused orientation point, you restrict that sense. Establish dominant, subdominant, and subordinate relationships between planes and between spaces. Make the planes aware of each other and activate the spaces between them. Use the movements of the axes and the tensions between the surfaces of the planes to activate the space. Your two largest planes should really pull apart. It’s not the planes themselves but the spatial tension between them that is the key to visual organization. Be very careful never to allow the spaces between individual planes or groupings of planes to feel like separate spaces. They are all part of the whole. It’s not just a matter of flow--it’s a matter of unity. Don’t lose sight of the whole. This exercise isn’t about the forms of the planes. Concentrate on looking at all the planes within the box and their relationships to one another in terms of their impact on the negative volume. The planes should be aware of each other in proportion, character, and axis. Use this awareness to expand and activate the space. It is hard to stay focused on the negative volume. We’re used to concentrating on positive forms. It’s a fine line we cross when the forms grab the attention and become more interesting than the negative space. It’s more difficult to make the negative volume the most interesting thing. But the challenge is to do that and to use forms that compliment each other and are the appropriate size for the box. After you’ve made a number of exploratory sketches, take the temperature of the boxes. (Think hot and cold.) Compare your design boxes with the empty box to see how successful you’ve been. You may find that within a single box the temperature is higher in some places than in others. You just have to satisfy your eye and feel it in your gut. It’s like the first three-dimensional exercises. You have to persevere. If you spend a long time looking very critically, you will train your eye so that it responds to spatial relationships. This sensitivity will open up a whole new world. When you have completed your space box ask yourself: Have I expanded the negative volume? Have I activated the negative volume? Is it just a construction of planes or does the space have a life of its own? Have I achieved an interesting abstract organization? What is the dominant element, movement, gesture? Is there tension between the surfaces and the axes? Does the design look pleasing from all directions? Finally, after telling you all this, I want to stress that the steps in the method and the techniques I’ve suggested aren’t a bag of tricks. There are no tricks. Negative volume is an abstraction and your task is to painstakingly find your own way to see it, feel it, and control it. In the first problem we work with a minimum of three planes, all cut from foam core of the same thickness and all with 90 degree corners. The proportions of the planes are up to you. In this exercise using static planes, all planes must be parallel or at right angles to each other and to the box. Arrange the planes in your design box following the rules we’ve discussed which apply to all of the space analysis exercises--static, dynamic, and curvilinear. Don’t forget to work with planes moving along all three (X, Y, and Z) axes. Never put a plane down the middle of your space. In a static box, the cross it creates with the edges of the box will distract the eye from the space you’re trying to activate. When you have succeeded in expanding the total negative volume in your white box you will add grey value. Use a minimum of three grey values with two steps between each on the color chart. The grey can be placed on any surface--on the top, bottom, or sides of the box, on planes, or on edges. It is not meant to be decorative. Its purpose is to add complexity--to create additional tensions (tensions between grey values as well as between shapes) that expand the negative volume and make your grey box look larger than your white one. Be selective in your use of grey values. If you use them on all of your planes you’ll begin to lose the sensation of space and the planes will become a graphic presentation of your idea. Remember, in this exercise you want to force the eye to see the space created by the placement of planes, not just to see the planes themselves. After you have gained some experience in using grey values to expand the negative volume, experiment with color. You may use as many colors as you choose, or one color in many values. Apply them to any surface but do it in a disciplined way. Don’t create poster solutions; your goal is to use the energy of the color to expand the negative volume. In this exercise we are working with dynamic (tapered) planes which should not have right angles or triangular (arrowhead) tips and are never positioned at right angles to other planes or to the top, bottom, or sides of your box. Once again the planes should not pierce or connect with each other. You may use complex planes - that is, planes that change direction. But each such plane must be a single bent plane, not two connected planes. If you decide to work with simple planes, use three. You can use only two if you include complex planes in your design. Don’t forget to work with planes moving along all three (X, Y, and Z) axes, and with these dynamic planes, all axes in between. You will find that the way planes are cut is important. Dynamic planes must be tapered. A plane cut on the table may look quite different inside the space box. Design the planes in the context of the box. Start with a tapered plane, hold it up inside the box and cut the edges to reinforce the axis, always paying attention to the relative proportion, character, and complementary relationships between planes. In this experience with dynamic planes, the movement of the axes is the top priority. Position the planes so that you become aware of the axes--so that you create tension between the axes of the planes. Remember not to divide your box into symmetrical parts. Just as you need to be careful not to cut your static box in two or four, you need to guard against bisecting your dynamic box on the diagonal. As in the static spaces, you must establish dominant, subdominant, and subordinate relationships. The dominant and subdominant together should constitute more than half of the balance of directional forces, leaving room for completing the balance with some smaller shapes. The largest plane should be the most dramatic, the most visually structural and have an axis that sets up vibrations in the whole box. Once you get that you can think of the other ones. I can’t emphasize enough how important your first move in the box is. It can make or break it. Now focus on the axes. Start with a tapered plane. Use 1/16Ó black charting tape to mark the axes of the planes. Analyze the lines made by the tape. Do the planes support the movement of the axes or distract the eye and draw it to their edges? The relationship between the axes of the planes is the most crucial relationship in this exercise. Do not allow the outlines of the planes to become more important than the axes. (Never do that in any art form.) Making the outline stronger or more interesting than the axes weakens the design. It flattens space, making it graphic instead of three dimensional. You end up seeing the line instead of the thrust-- and if you’re looking at the outline, you don’t see the volume. The problem of dynamic planes in space includes all the challenges of the static problem plus it adds speed to the equation, which will make you aware of the importance of structure. The organization of planes should be visually structural. A plane moving across space can’t be too heavy or it will look like it’s going to fall down. Think of how an airplane changes direction in space, how it banks as it slows down. Don’t create planes that appear to be clouds floating in the atmosphere. Create an organization in which the planes look like they are structurally comfortable. Choose a gesture that’s appropriate to the situation. (It’s inappropriate for a hippo to do a pirouette.) You’ll discover that a plane that looks fine in one box won’t necessarily look like it can sustain the same speed in a box of different proportions because of the space around it. Tapering a plane will increase its speed. The tensions between dynamic planes is more complicated than in the static situation. You have two kinds of tension in this exercise--the tension between the surface of the planes and the tension between the axes. You have to make those two forces create the abstract organization. Meanwhile, you must continue trying to activate the negative volume. It’s getting harder and harder. In this problem you experience how the balance of directional forces, the speed of the axes and the tension between the planes relate to the space around them. You begin to see how the space between planes is activated. Space takes on a heightened sense of energy. It plays an active role in the design. The space is actually pushing against the surfaces of the planes. Finally, we work with curvilinear planes. First, for a warm-up, refer to the curve chart you created for the wire problem. The vocabulary of curves is the same - whether you’re working with lines or planes. This is the vocabulary you will work with here. In order to be able to make the curved planes. you’ll need to switch materials from foam core to bristol board. Be aware of the importance of taking the axes all the way through your planes. The shape of the plane should reflect where the movement starts and where it is going. Start with a tapered plane and curve it. Hold the plane in space and tape the axis. Note that the edge doesn’t do what the curve is doing. You will discover that the edges must be trimmed to make the movement of the plane clear. Don’t radius the edges of the plane. Your planes shouldn’t look like Frito's. Use two or more planes. If you use only two, one must be a complex curve (a curve that is a combination of two curves, like a reverse curve), to ensure that you move in all three directions. Position the curves in your box to move through space in the most interesting ways you can. If you are working with more than three planes, create groupings. Follow the guidelines for all the space analysis exercises, beginning by establishing dominant, subdominant, and subordinate relationships. Once again, don’t let your planes touch or pierce each other. Crafting your design will be more difficult in the curvilinear space analysis exercise than in the static or dynamic. You may need up to six hanging points for each plane to make it work. Remember — you have three challenges in this problem. First, expand the space and activate the negative volume. Second, establish unity of the entire space. And third, create a design in which space and form are equally important and so interdependent that they cannot be separated. As with dynamic planes, when working with curvilinear planes you should also be aware of speed. Analyze your curved planes in terms of speed. Ask yourself how fast the curves of the planes must be moving for the planes to sustain their positions in your design. This exercise requires restraint and subtlety. There’s a temptation to create axes that roll and then become objects in space instead of movements. Curvilinear planes can be very interesting shapes. It’s tempting to concentrate on them and forget the space. Students often work hard to put something beautiful inside the box - but they forget about the box itself. They create objects in a box instead of space. The two must be inextricably linked. The design shouldn’t be able to live without the box--or the box without the design. 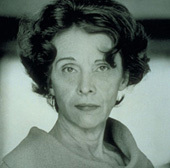 The Rowena Reed Kostellow Fund was established at Pratt Institute in 1988 to celebrate and communicate the philosophy and expression of one of the most recognized design educators of the 20th century. She fostered a dialogue with her students that continued long after their formal education. The Fund’s mission is to continue that dialogue and introduce her ideas to designers not fortunate enough to have had her as their professor, or to have been exposed to her continued teachings in the Pratt Industrial Design program. Miss Reed believed that, for designers, beauty and the thoughtful manipulation of form are at the core of their role in the development of products, images or architectural form and space. The Rowena Fund continues Rowena’s teachings through scholarships, publishing and programs. The Fund is governed by a board and an inclusive committee of supporters.